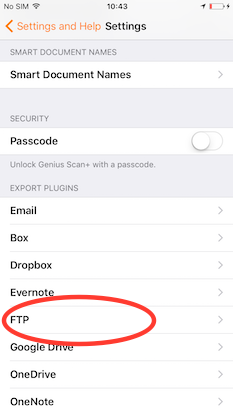 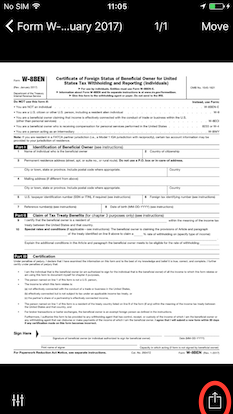 Exporting documents via FTP requires Genius Scan+. 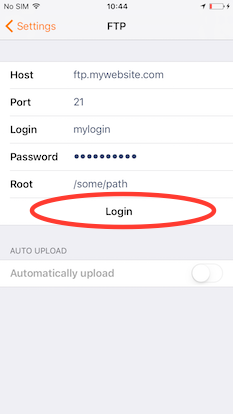 When you're done, tap the Login button, a FTP connection will be established to verify your settings. 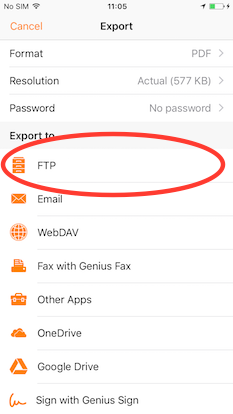 Select the folder you want and export your document.